We're in the season of Advent that prepares us for Christmas, so why not learn more about Joseph, Jesus' earthly father (stepfather, adoptive father)—Joseph the spouse of Jesus' mother Miriam/Mary? Pastor Adam Hamilton has written another insightful and interesting scripture-related book; as usual, he doesn't talk down to readers, but also makes sure it's mostly easy to comprehend. I enjoyed the historical background at the start of this short book; it included information about non-canonical sources, and speculation on what might have been happening based upon that cultural context. Hamilton brings in some of his own experience as a pastor and a dad, but doesn't overwhelm the pages by making it too much about himself. In retelling what we know of Joseph's story from scripture and imagining what might have happened, Faithful shows many ways people, events, creation's needs and God's mercy-filled love weave together to unsettle the status qho(s) and recreate a redemptive whole. 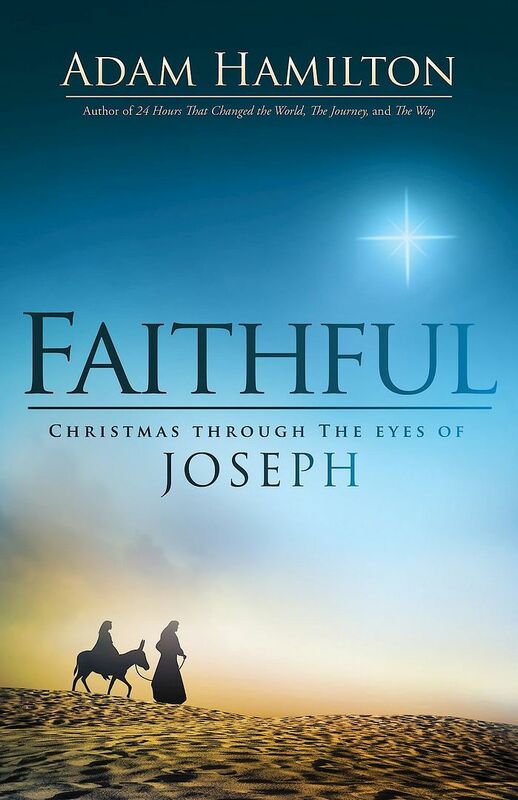 Inspirational and reassuring, Christmas Through the Eyes of Joseph is just in time for the longest night of the year, just in time to celebrate Jesus' nativity in the church and in the world, because this is one season the world out there has some idea of what the church happens to be about. As for many books from Abingdon, you can purchase an entire series of products related to this book by Adam Hamilton to assist in your study of Joseph.